In 2018 Ural mining company UMMC plans to invest 3.5 bln rubles ($62.5 mln) into the Gai ore mining plant situated in the Orenburg region. This is 1 bln rubles more than it was invested in this asset in 2017. 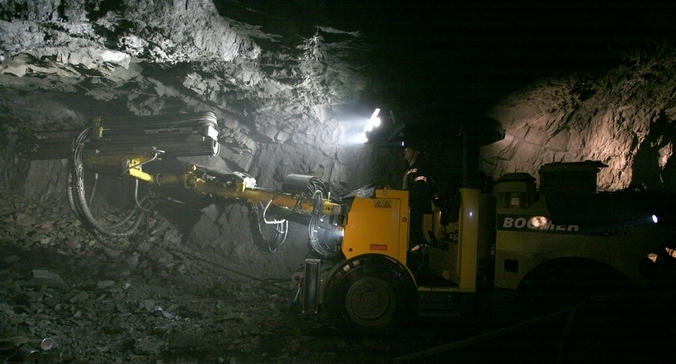 About 2.5 bln rubles will go into the development of the ore mine situated 830-1310 meters undergrounds. In addition, 250 mln rubles will be spent for technical upgrading of the plant’s equipment, such as pumps, vents, and filters. In 2018, the Gai mining plant could increase its output up to 9.2 mln tons of ore.
Be the first to comment on "UMMC to invest $63 mln in its mining assets in the Orenburg Region"